Welcome to the Spokane Buddhist Temple! 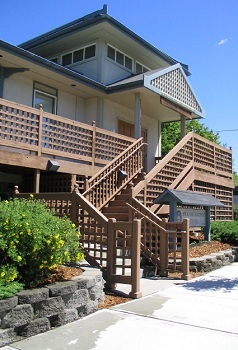 Established in 1945, the Spokane Buddhist Temple is holds weekly services on Sunday mornings, following the tradition of Japanese Shin Buddhism. Our Sangha Services are hosted by one of three of our Minister's Assistants, with help from other members of our sangha. Not having a resident minister of our own, we invite a guest minister to come and speak once a month. 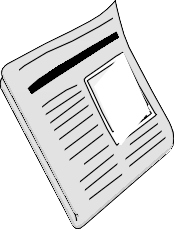 Additionally, we are an all volunteer temple and welcome your participation in our weekly services and activities. In addition to holding services, we hold food bazaars in the spring and fall, and a rummage sale in the summer. Please see our Calendar for more information about these special events. Our temple has a Japanese heritage, but all services are in English and most of our sangha members are non-Japanese. We welcome all, regardless of belief, heritage, race, gender, sexual orientation, or anything else. Please join us for our next service - or call, email, or connect with us on Facebook ! Handicapped parking is available behind the temple. Others may park on the street, in the South Perry Pizza lot, in the Grant Elementary lot, or in the Grant Park lot behind the Lantern. You may also ride the #45 bus line to temple. There is a stop right out front. We are not hosting the play on 5/11-5/13. Help the temple raise money! Contribute a portion of any purchase through Amazon.com to the temple!